Many times when I shoot indoors-family or my little boy Eitan I don’t like to setup flashes and want to be spontaneous .After knowing that the direct on camera flash shooting option is the last thing to consider,I started to look for an on camera flash gadget that will improve the flash diffusion and make the pictures look more alive. As I’m used to buy stuff from amazon (started with books and finished with almost everything) I noticed for their home brand Opteka.This on camera screen diffuser will diffuse your pop up flash and prevent red eye with the handy Pixco pop-up flash diffuser. Quick and convenient to put on & take off. This is the answer to most on camera flash problems. Light loss is about 2/3 of a stop. 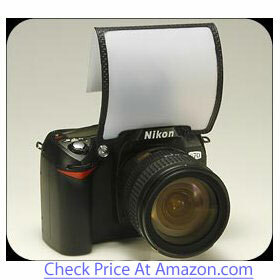 Fits most Canon, Nikon, Sony, Olympus, Kodak, Pentax & Fuji Camera’s with Pop-Up Flashes. This one is the well known LumiQuest brand on-camera soft screen diffuser.As a good costumer of Lumi’s products I have to say that although their products are a bit more expensive they compensate with great building quality and long lasting.LumiQuest’s Soft Screen Diffuser. This diffuser is designed for the built-in pop-up flash of many digital cameras and 35mm SLRs. This device serves to diffuse, distribute and redirect the light for more precisely illuminated subjects under a variety of circumstances. 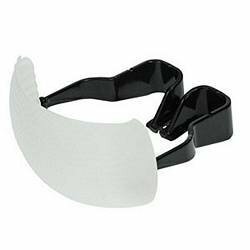 Softens Harsh Shadows Reduces Hot Spots Attaches in Seconds Fits Most Popular Cameras Application: Pop-Up Flash Diffuser. This one is probably the most expensive on-camera flash diffuser in this group,but it also has a warmth filter and looks the strongest thing in this competition.This one also won the American Photo Editor’s Choice 2008.Professor Kobre’s Lightscoop, a bounce device for the pop-up flash on most 35mm DSLRs with interchangable lenses, slips over your camera’s pop-up flash and allows you to bounce the flash like professionals bounce an expensive external flash. 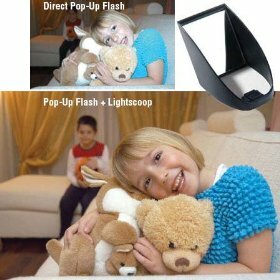 The Lightscoop is the inexpensive answer to natural-looking bounce flash and digital photography lighting. (Even professionals like it for casual shooting!) No more harsh shadows, bleached faces, red-eye, or cave effect from direct pop-up flash. Gary Fong’s products are very popular gadgets in the lighting department.THE PUFFER mounts in the hot-shoe slot of digital cameras with a pop-up flash, greatly softening and enhancing the quality of light. It’s great for portraits, grab-shots of people and closeups of objects (great for e-bay photos!) It packs up nice and small for convenient storage in your camera bag (or pocket!) and has eight different mounting positions for the perfect fit for any popup flash camera. If you use your popup flash with a wide angle lens and shade, you’ve probably seen a really weird half-circle dark shadow at the bottom of your image. That’s the shadow from your lens shade. When you put on the Puffer diffuser, the shadow is nearly eliminated. Provides professional-style diffused lighting from your camera¿s pop-up flash Softens camera¿s harsh direct flash Reduces harsh shadows Ingeniously mounts via the camera’s flash shoe Adjustable for center positioning of any pop-up flash regardless of size Works in any camera mod. If you tested or used another on camera flash diffuser element,please let as know about it! Tell as what you use in order to diffuse your on camera flash. I looked a couple of these diffusers at B&H Photo; the Zeikos (same as LumiQuest and Opteka) and the Gary Fong Puffer ($17). The Puffer is pretty clever and worked the best, but is a bit bulky for my taste. Today I did some googling and discovered that the Puffer is really just a repackaged thing from one of those Chinese search sites with incredibly cheap stuff with no way to actually buy. I found the SAME thing, with 3 different color diffusers (white, blue and orange) at a dinodirect.com for $3.78 with free shipping! Not bad, eh? There are many same-same cheap/budget alternatives.